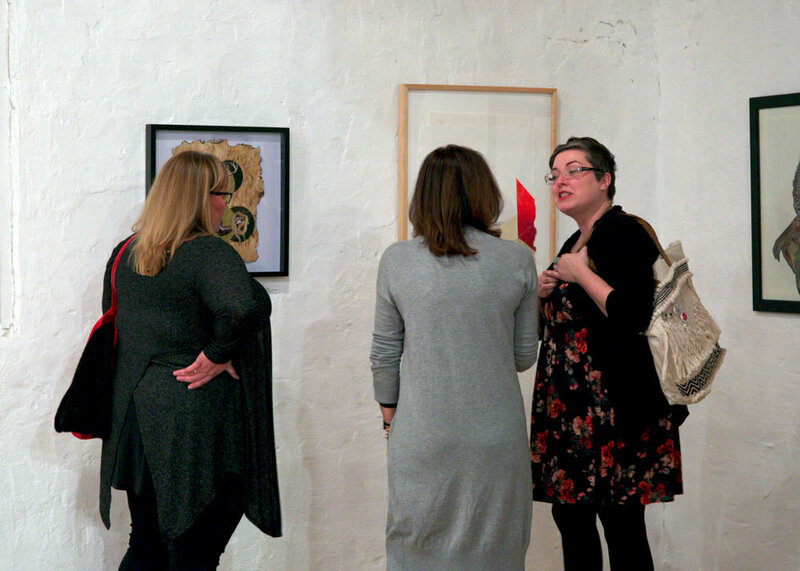 Yesterday we had our artists' reception at the Arts Mill. 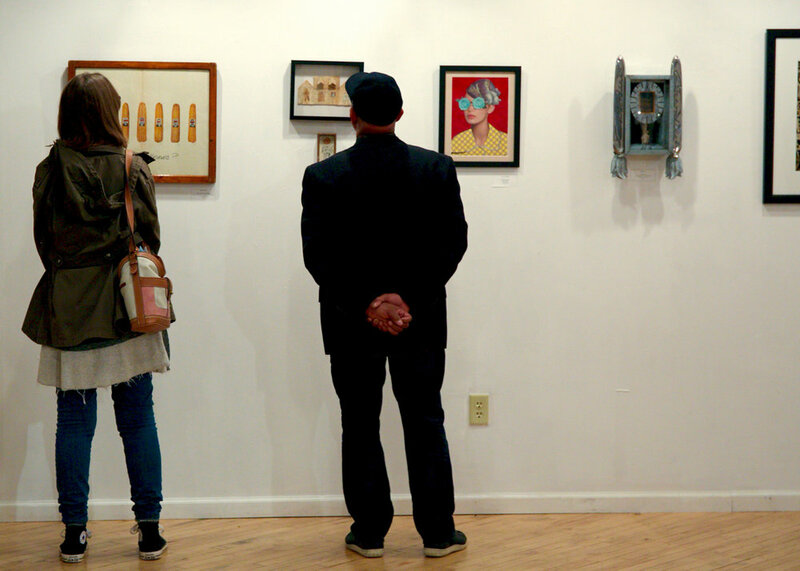 It was such a neat experience to celebrate the works of 25 collage and assemblage artists from across the country. Exhibiting artists are: Brad Brautigam, Dave Cornilis, James Demski, Tom Dent, Lola Dupre, Karla Fuller, Sharon Kerry-Harlan, Holly Harnischfeger, Jacqueline Hendrickson, Andrea Holmgreen, Stuart Howland, Megan Woodard Johnson, Eric Koester, Karla Lauden, Mollie Martin, Gary Niebuhr,Josie Osborne, Sandra Pape, Shelley Peckham, Carissa Sosnowski, Jay Riggio, Kate E. Schaffer, Aldis Strazdins, Lisa Wicka, and Gail Willert. This exhibition is co-curated by John Adams of The Draw and Frank Juarez of the Frank Juarez Gallery. 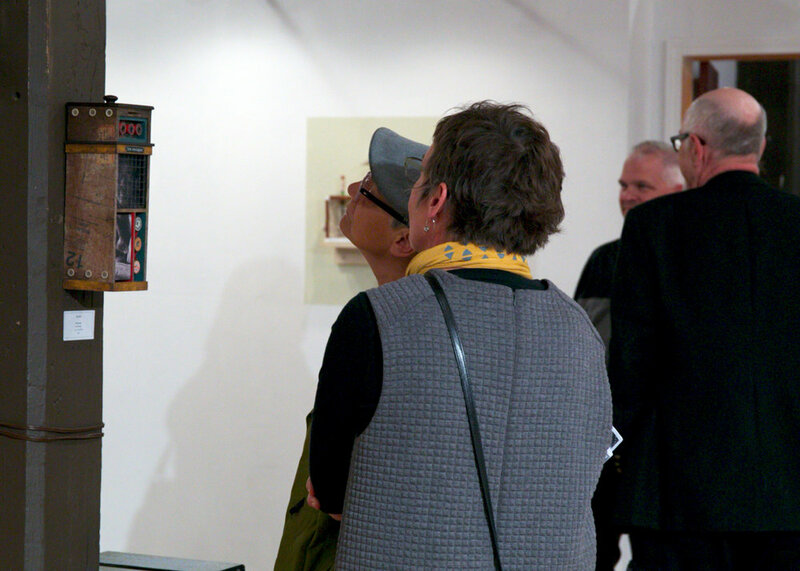 This exhibition explores traditional, digital and innovative applications to collage and assemblage works produced from various resources such as but not limited to the use of magazine and newspaper clippings, paint, handmade papers, screen print, text, photographs and/or other found objects. Each piece providing the viewer a glimpse into the artist’s own world. John Adams, co-curator writes, “having a technical hand is only one step in the creation of art, being able to see, reimagine and compose thoughtful and engaging works holds a powerful spot in my life”. The Frank Juarez Gallery is committed to supporting artists working in painting, photography, sculpture, video, installation, and mixed media works. 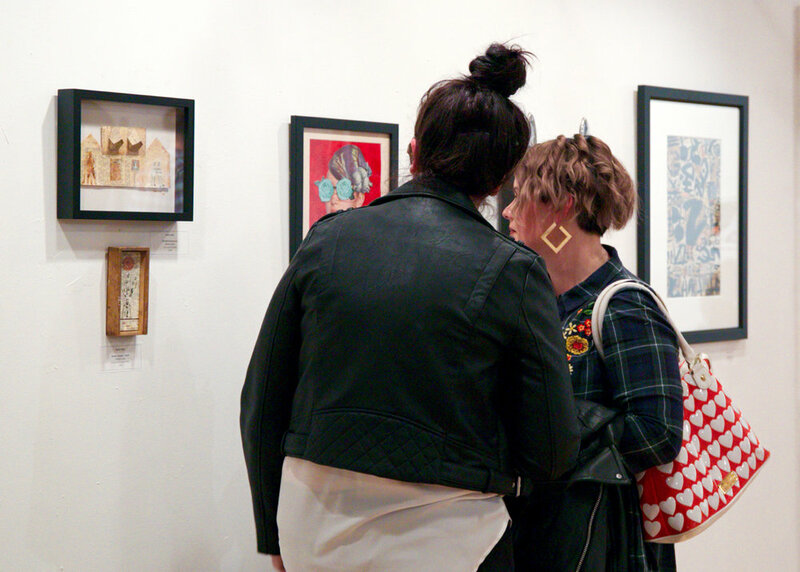 We aim to create an accessible, educational, and engaging exhibition space for our artists, audience, and community. FJG exhibits and promotes the works of artists who value innovation, technical discipline and artistic excellence in their chosen medium. The Draw is a creative playground for working artists, creatives, and anyone interested in trying something new with out the barriers of other public spaces. We encourage creativity and self-expression. 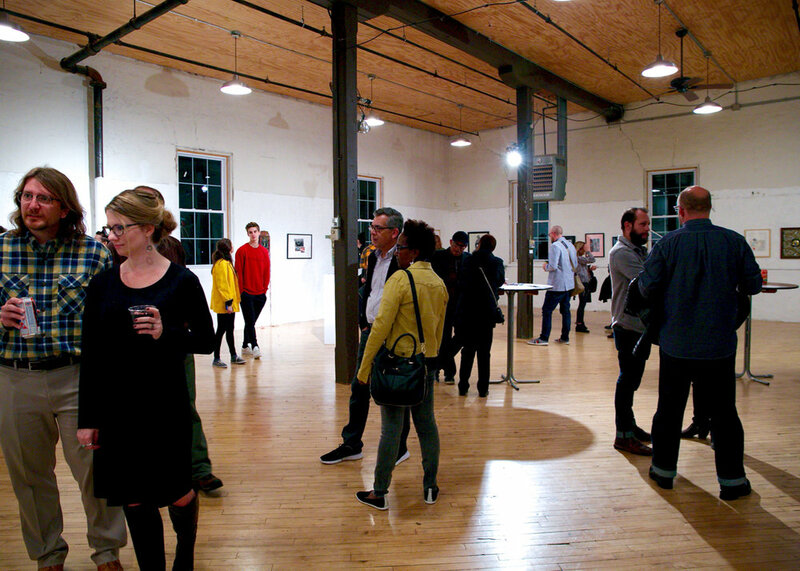 We house 17 creative suites, and an art gallery/event space for multiple uses! The Arts Mill is housed in the Grafton Historic Mill. The Arts Mill provides a place for artists to do their art. A cooperative environment, artists have an opportunity to secure a space among other artists. Open to the public, it fosters a cultural appreciation of the arts in our communities. The Arts Mill works in collaboration with the North Shore Academy of the Arts, a non-profit organization offering programming in the visual, literary and performing arts. For further information, please call or email Frank Juarez at 920.559.7181 or frankjuarezgallery@gmail.com.